Highway Interstate 70 winds across the Rocky Mountains in Colorado, meandering through valleys nestled between snowy peaks. In winter, avalanche risk can be severe when thick snowpack blankets the often steep terrain. 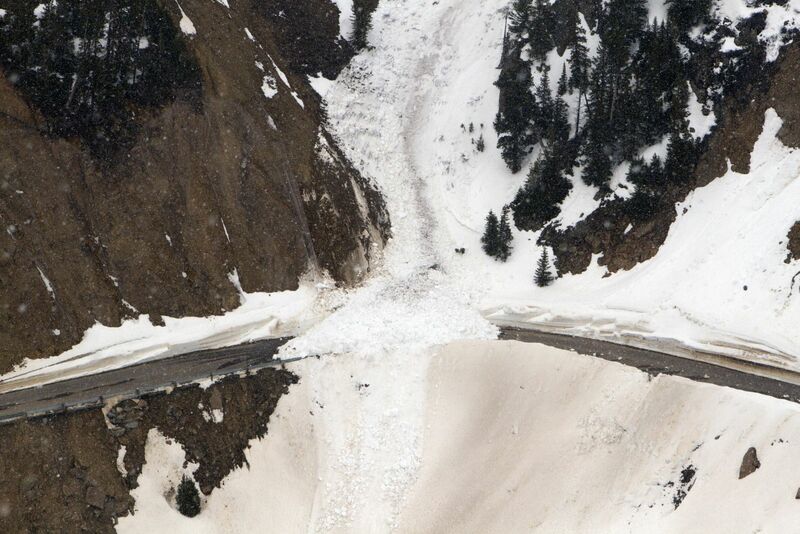 To mitigate the hazard and keep travelers safe, the Colorado Department of Transportation (CDOT) monitors almost 300 avalanche paths along the interstate and other mountain highways. When crews find an unstable slope, they use a compressed gas cannon called an avalauncher to set off small charges on the mountainside. This technique creates a series of small avalanches designed to prevent the heavy snow buildup that can spur a larger, more destructive avalanche. But this procedure is less than ideal. Not only is the avalauncher dangerous to operate; CDOT crews do not always have data about which slopes to mitigate. NSIDC researcher Jeff Deems is collaborating with CDOT and a local ski area to change that by providing maps of the snowpack and achieving better avalanche control. 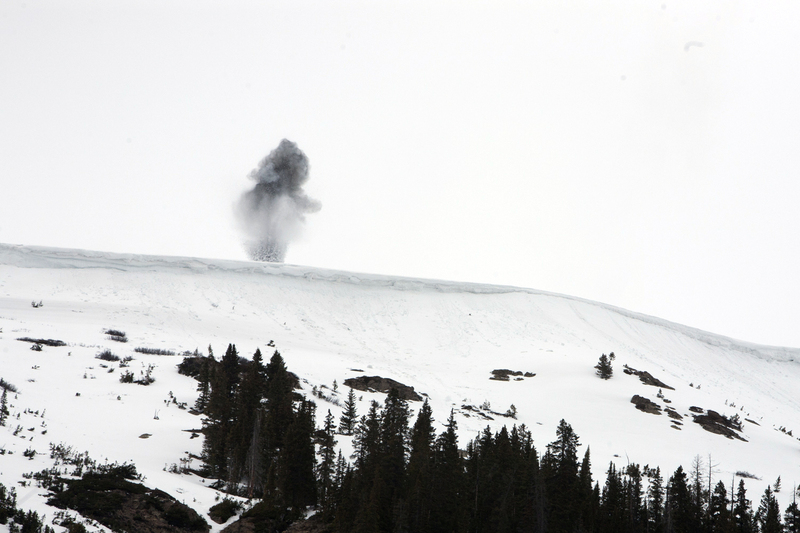 “Conventionally, avalanche experts go out into the terrain and, based on their expert knowledge, estimate where snow accumulates and where safety teams can most effectively deploy explosives,” Deems said. “But these decisions are made in a very uncertain, data-poor environment.” To help solve the problem, Deems is applying a new, high-tech tool that maps snow depth in steep terrain, making avalanche control safer and more efficient for safety teams. “With this technology, we can actually show them how much snow has accumulated across the landscape,” Deems said. The new tool relies on laser-scanning (lidar) systems to map snow depth at very high resolution. Deems and his colleagues tested the system at Colorado’s Arapahoe Basin Ski Area, first making detailed maps of the slopes during summer, without snow, and then compared the maps to snow-covered slopes during winter. “With this technology, we can actually show them how much snow has accumulated across the landscape,” Deems said. The new mapping tool help crews more precisely target dangerous slopes. “It also can reduce worker exposure to explosives and reduce costs related to avalanche control by supporting a decision not to use explosives on a given day,” he said. In addition to providing a tool to help CDOT, Deems and his colleagues are also working with Arapahoe Basin Ski Area plan resort infrastructure. Before expanding ski runs, the ski area must mitigate avalanche risks, including planning for explosive delivery tram lines, which string cables that can be loaded with charges above avalanche starting zones. The researchers are using the lidar-derived snow depth maps to analyze and improve the tram network. Instead of guessing where snow is, Deems said, they can start to make decisions based on data. Deems, J. S., P. J. Gadomski, D. Vellone, R. Evanczyk, A. L. LeWinter, K. W. Birkeland, and D. C. Finnegan. 2015. Mapping start zone snow depth with a ground-based lidar to assist avalanche control and forecasting. Cold Regions Science and Technology 120: 197–204. Deems, J. S., T. H. Painter, and D. C. Finnegan. 2013. Lidar measurement of snow depth: a review. Journal of Glaciology 59(215): 467–479. doi:10.3189/2013JoG12J154.